Who is Melih Rauf Esenbel? 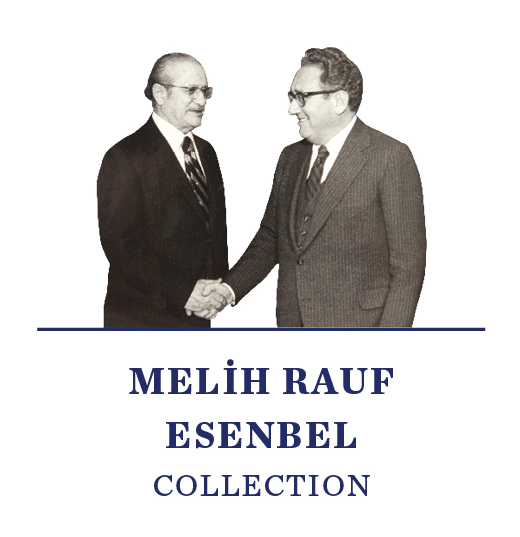 Melih Rauf Esenbel was born in İstanbul in 1915 as the grandson of poet and composer Çorluluzade Mahmut Celalettin Paşa, a governor and minister, and the son of Şemsettiya Bey, who was the chief secretary of the city of İstanbul. He graduated from Galatasaray High School in 1933 and from İstanbul University Law Faculty in 1936. The same year, he started working at the Ministry of Foreign Affairs. From 1939–43 he worked at the Turkish embassy in Paris. 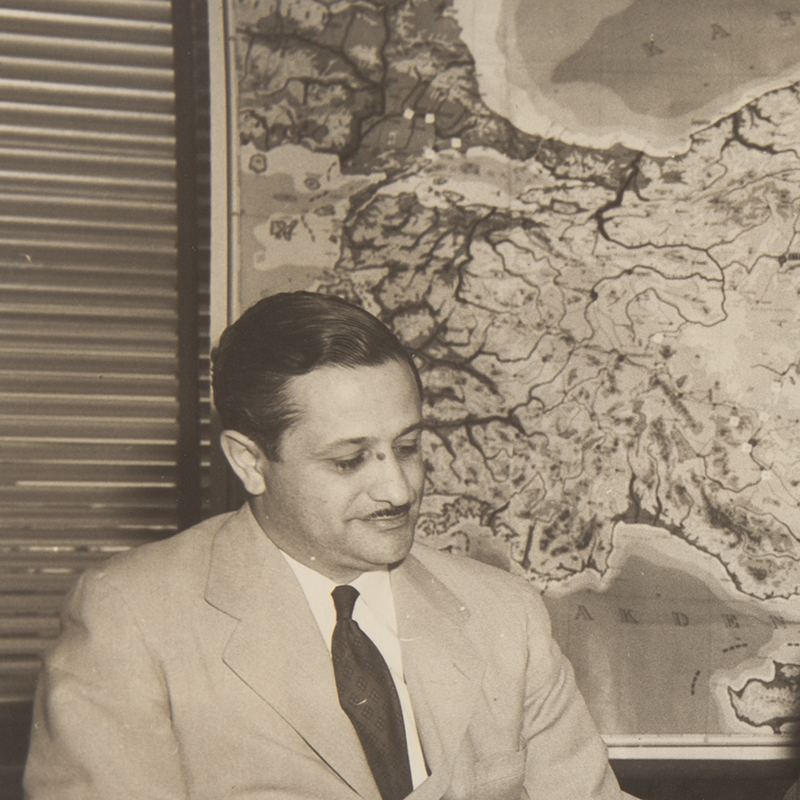 After working at the Washington embassy, which he began in 1945, he returned to Turkey and was appointed as the Director of International Economic Affairs in Ankara. 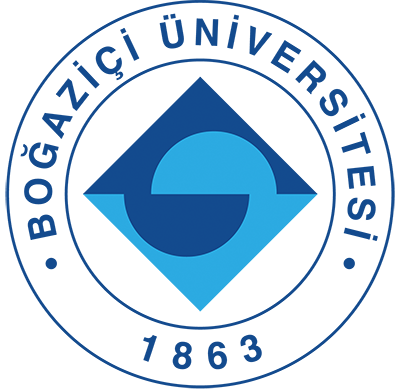 Following this duty, he was appointed as the Deputy Director of Economic Affairs (1954–57) and the Secretary General of the Ministry of Foreign Affairs (1957–60). In 1960, he was appointed as ambassador to Washington. However, the May 27 military coup affected Esenbel’s career and he returned to Ankara from Washington. After three years in Ankara, he was appointed to the Tokyo embassy in 1963 and again to the Washington embassy in 1967. In November 1974, he became the Minister of Foreign Affairs in the government headed by Sadi Irmak and occupied this post until March 1975. Immediately afterwards, he was appointed as ambassador to Washington and continued his work there until his retirement in 1979. Esenbel passed away in 1995. Donated by his daughter, Prof. Selçuk Esenbel, a faculty member in the Department of History at Boğaziçi University, this collection includes Esenbel’s correspondence, photographs, and personal notes on important events during his tenure as an ambassador and Minister of Foreign Affairs. 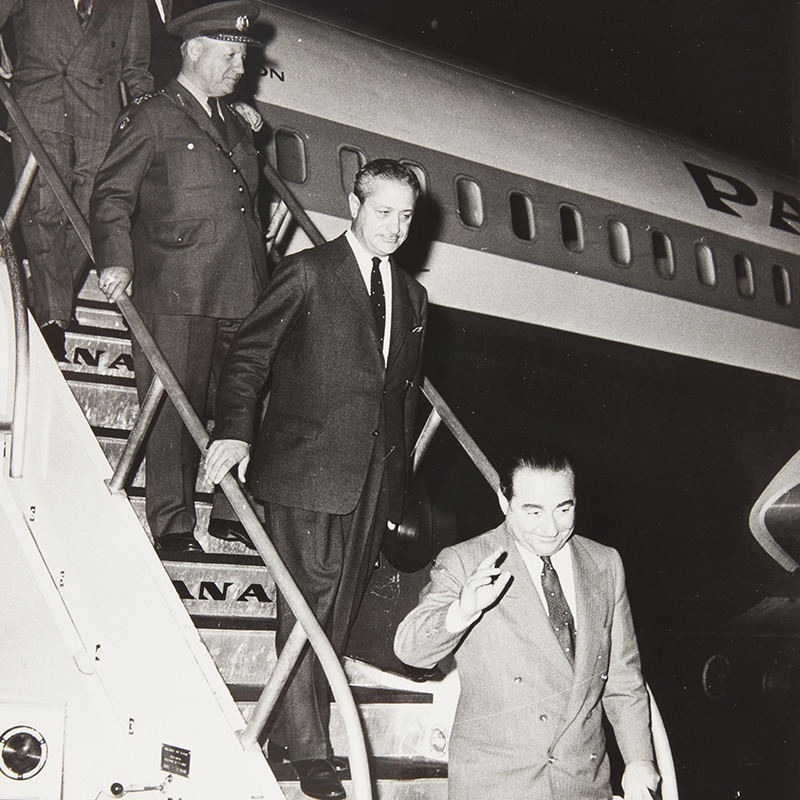 Examples include his correspondence with Vyacheslav Mikhailovich Molotov and İsmet İnönü, notes about the Truman Doctrine and the Marshall Aid, personal assessments on the U-2 incident and US presidents, notes on Turkish foreign policy and the agreement between Turkey and the US on Cyprus, photographs of his trips abroad with Adnan Menderes, and drafts of Esenbel’s autobiography.